Veterans Day has been celebrated in the United States since 1954, but it was known as Armistice Day or Remembrance Day since Woodrow Wilson proclaimed November 11th a Federal holiday in 1919. 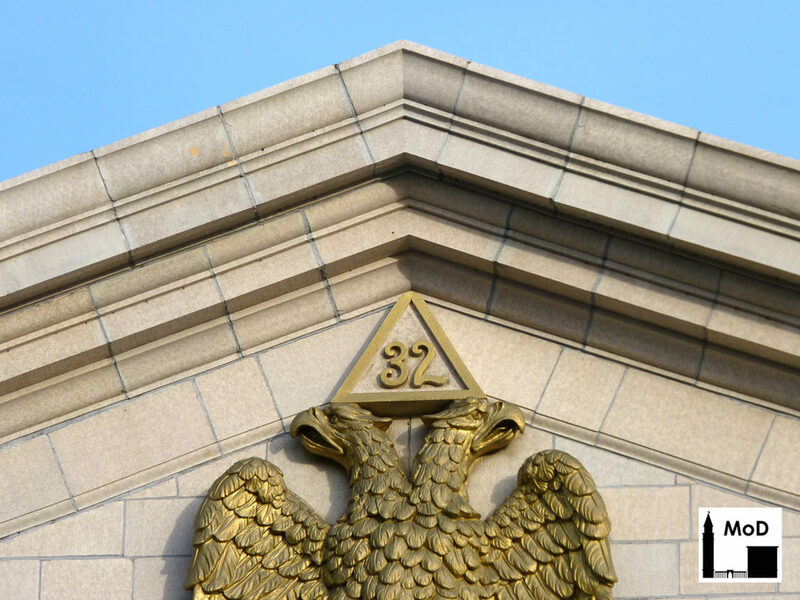 On this Veterans Day 2014, the Masonry of Denver would like to celebrate the men and women who served the United States in times of war and peace. I am especially grateful for the service of my grandfathers, uncles, and cousins; my father-in-law; and many friends. Thank you all for your service. So how does masonry play into the lives of American veterans? A walk through any military cemetery will give you a hint. Every man and woman who serves in the United States military is eligible to receive a free military grave marker from the Department of Veterans Affairs, regardless of where they are buried. The VA issues both flat cemetery markers and upright head stones. The flat markers, which are installed nearly flush to the ground, are available in marble, granite and bronze. 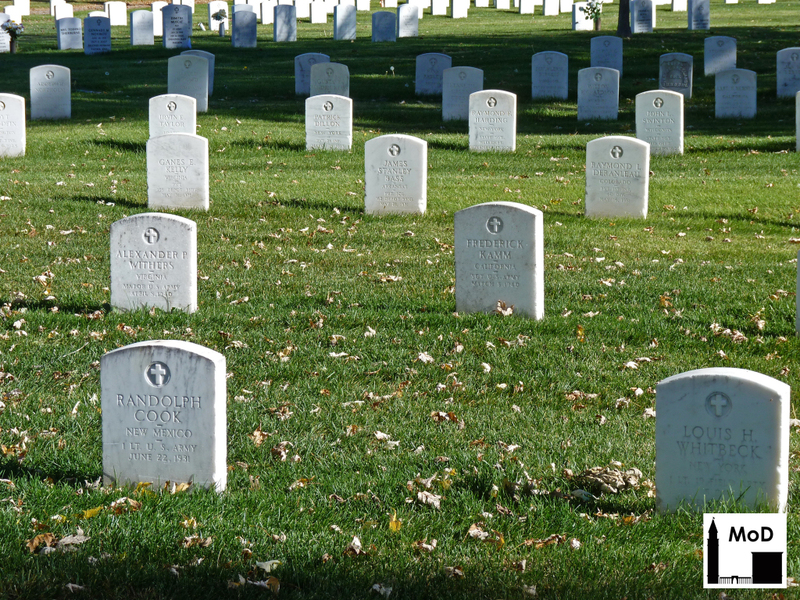 Upright headstones are available in marble and granite. Marble is by far the most common military headstone marker, and the military only uses Danby marble quarried from Vermont. It is an exceptionally pure, white stone, and is readily available due to a large vein of marble of varying quality that runs up the east side of the Hudson River from Manhattan to the Canadian border. Vermont marble is typically a very high quality, white or whitish gray marble, while the marble historically quarried in upper Manhattan and southern Westchester County is a granular, lesser quality pinkish tan stone. The quality of the stone improves the farther north one travels up the Hudson River. VA-issued upright grave markers are 42 inches long, 13 inches wide and 4 inches deep, though the depth of their installation varies. The veterans markers in the photo above appear to have been set several feet into the ground. Inscriptions typically carved into headstones by the VA include the veteran’s name, rank, location of service, the war or wars in which he or she fought, the branch of the military in which he or she served, and the veteran’s birth and death dates. Families may purchase additional inscriptions if there is room on the grave marker. Finally, each veteran may have a symbol of their faith carved into the top portion of the grave stone. Very few religious symbols were available, such as the Christian or Catholic crosses in the photo above, but over the years the VA has extended their recognized emblems to include 61 religious symbols. 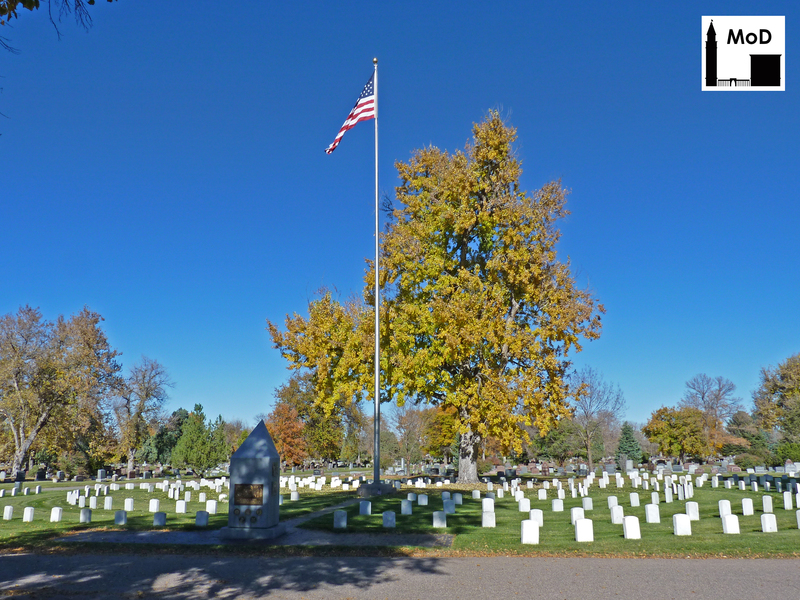 Cemeteries all over Colorado have markers noting the grave of United States veterans. 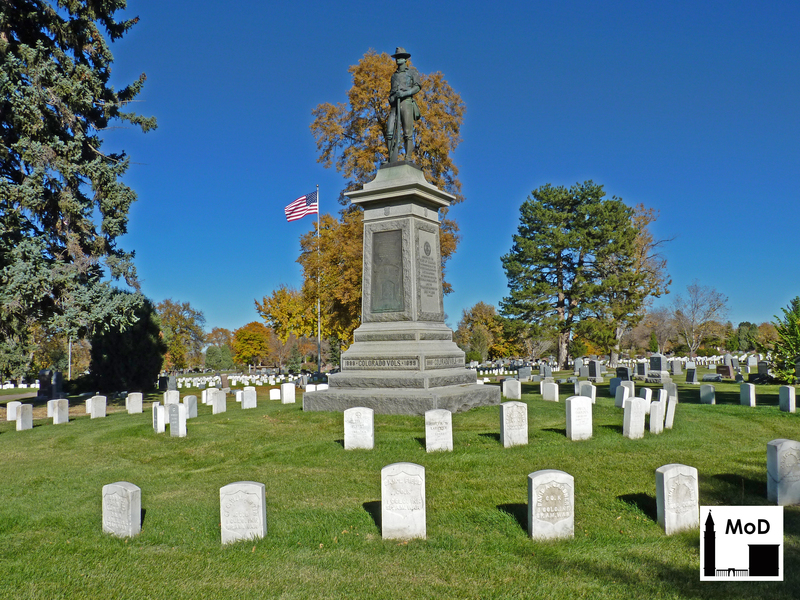 I came upon three large areas for military memorials in Fairmount Cemetery in Denver several weeks ago when I visited. The one closest to the cemetery entrance marks the graves of the Colorado Volunteers. The monument itself is made of a gray granite with a bronze statue, but the grave markers arrayed in a circle around the monument are all white marble. You will notice that their inscriptions are raised letters in a recessed shield. This indicates the graves of veterans who served during the Civil War or the Spanish-American War, or during peace time before World War I. Most of these grave markers represent veterans of the Spanish-American War. 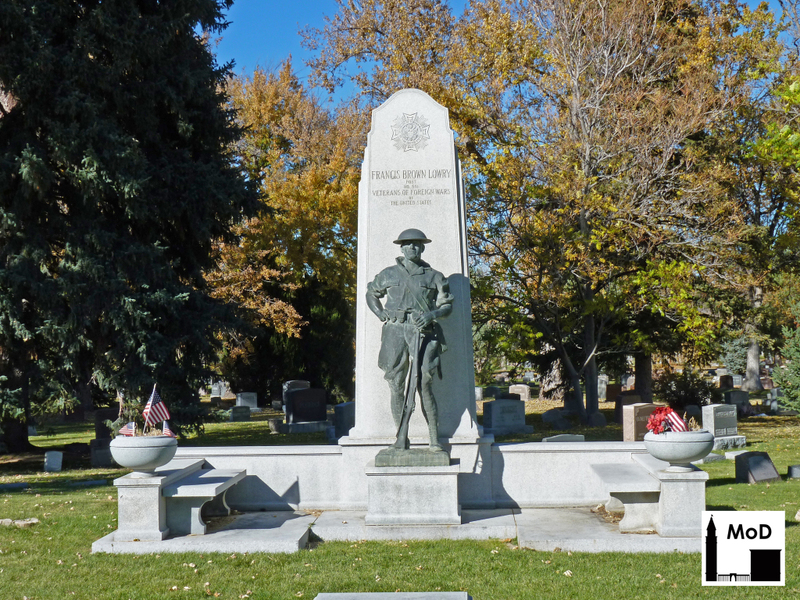 A second military memorial, called the Garden of Honor, sits just northeast of the Colorado Volunteers memorial. The Garden of Honor is simple and elegant, with upright marble headstones arranged in a circle around the United States flag. All of the headstones face inward toward the flag, as opposed to the Colorado Volunteers memorial, whose headstones face outward. The third military memorial at Fairmount Cemetery commemorates Lieutenant Frances Brown Lowry, who served in World War I and died when his plane was shot down over France in 1918. The Lowry memorial marks the graves of members who served in Lowry’s battalion, as well as other veterans of World War I. The memorial, created in 1921, is made of a light granite with a bronze dough-boy statue. Once again, we would like to thank all of the men and women who have served the United States military. 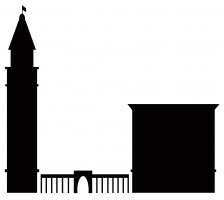 I fell in love with the Granite Building over the summer, but just now got around to looking into its history. I’m so glad I did! 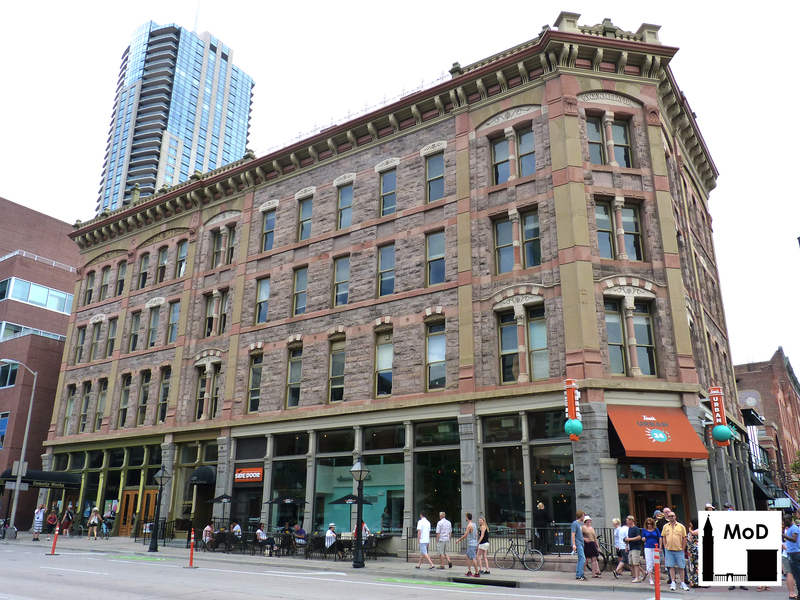 According to the Denver Landmarks designation for the Larimer Square Historic District [pdf], Denver began on the site of the Granite Building. No, the Granite Building isn’t the first building built in Denver, but it sits on the land on which William H. Larimer, Jr. built his log cabin in 1858. The site at the northeast corner of 15th and Larimer Street soon became the center of Denver City, and was therefore a lucrative development site. By 1882, the site’s owners George W. and Willam N. Clayton, erected the four-story granite building that stands on the site now. The Granite Building was originally constructed to house the M.J. McNamara Dry Goods Company, and was nicknamed the Granite Building fairly soon after it was erected. 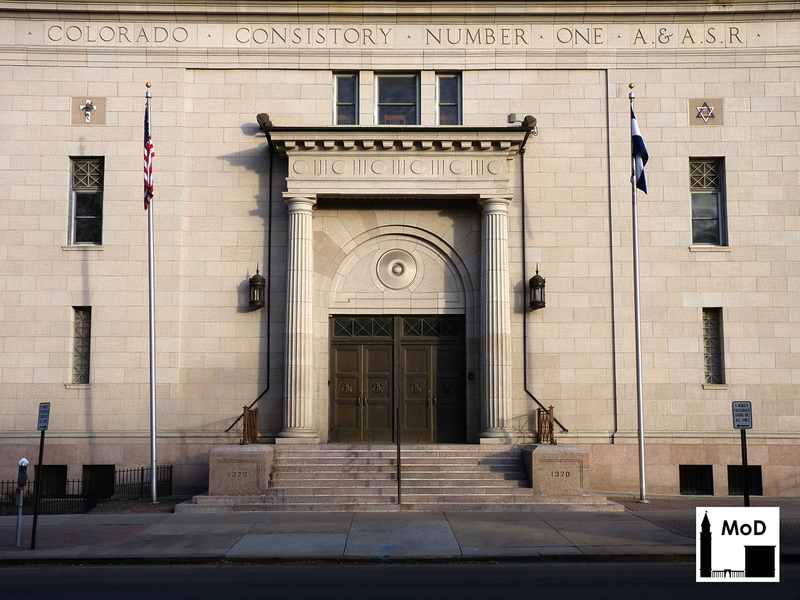 It later housed a furniture business, architecture offices and building suppliers, and was supposedly the original office of the Denver Post. By the 1910s, the Granite Building had become a boarding house and then a flophouse. In 1965 it was purchased as part of Larimer Square and was fully restored by 1970. It currently houses offices, restaurants on the ground floor, and a comedy club in the basement. A great historic photo of the building can be found in the Western History Collection of the Denver Public Library. 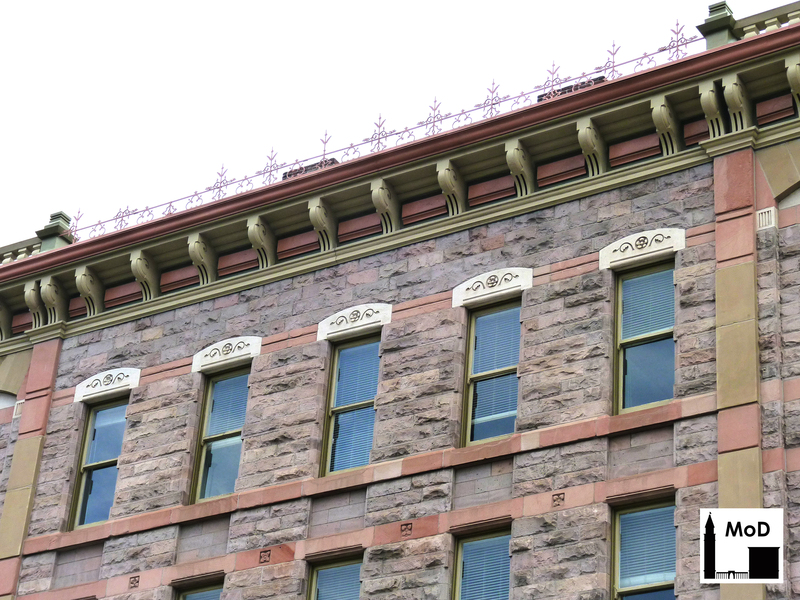 The Granite Building was built using all local masonry materials, as well as cast-iron columns on the interior made by the Colorado Iron Works. Although there is no record of who supplied the granite, it is probably Pikes Peak Granite quarried in the South Platte Canyon near Buffalo Creek. It has a pinkish gray color and was installed in rusticated blocks, with smooth-cut blocks at window spandrels. 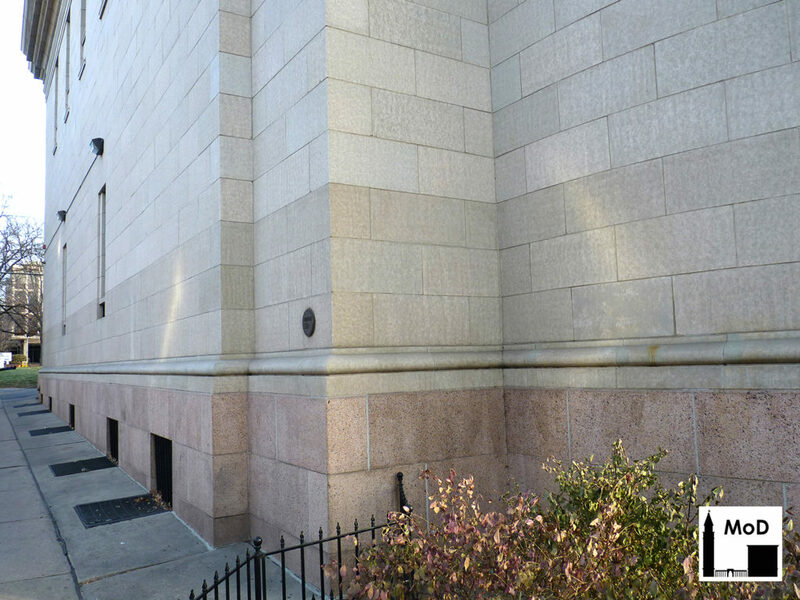 However, the Granite Building isn’t entirely made of granite. 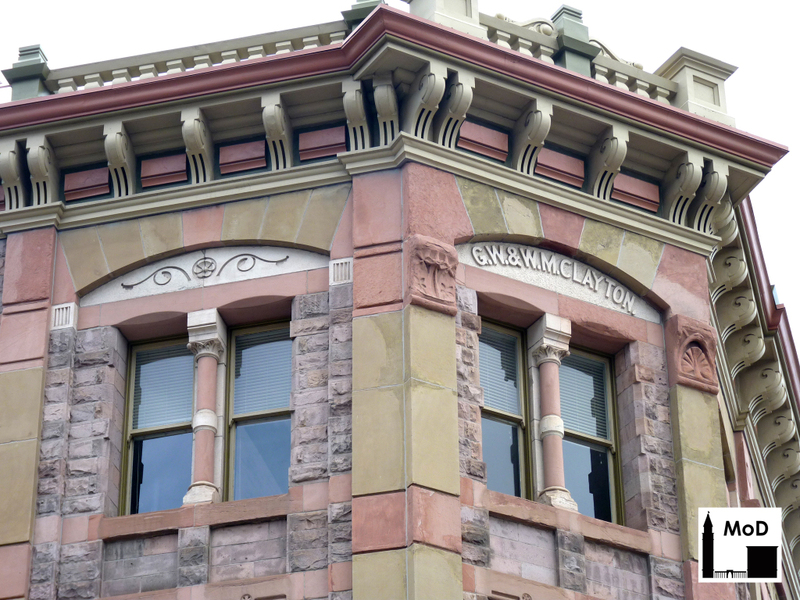 Two different colors of sandstone – red and beige – provide horizontal and vertical ornament on the building. Both sandstones may have been quarried from the hogbacks along the Front Range, the location of many sandstone quarries between Manintou Springs and Fort Collins. 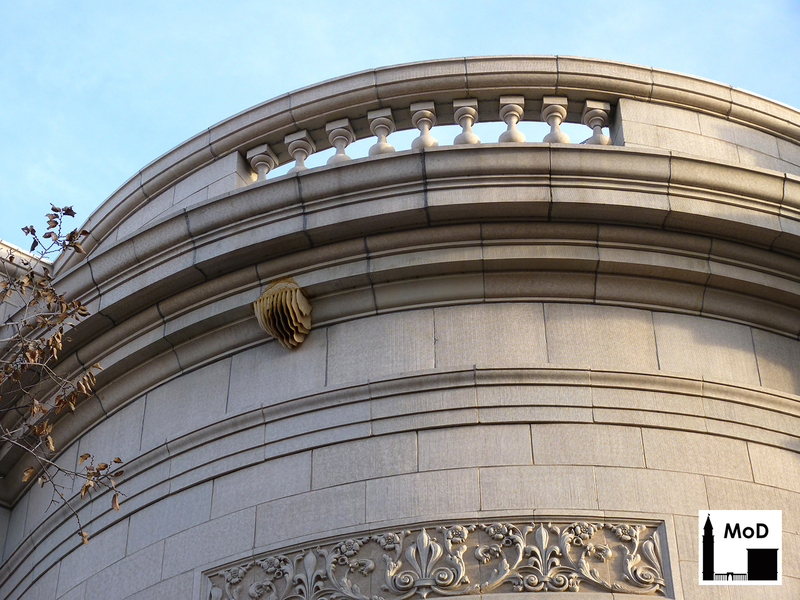 Below is a detail of the granite and sandstone used at the top of the building, plus the painted sheet-metal cornice. We are lucky that development pressures in the first half of the twentieth century were low enough that the Granite Building was not demolished for a more modern structure. And thanks to Dana Crawford and her associates, the building and its neighbors were brought back to life in the 1960s. 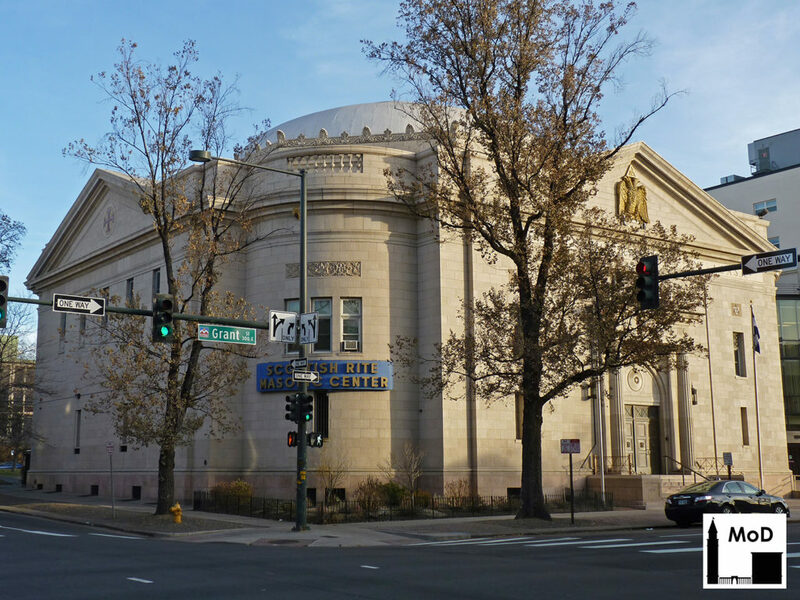 The Granite Building is part of a Denver landmark district and is also on the National Register of Historic Places, and should be around for generations to come.